The dinner was provided by Chef Dino Rogers and Chef Linda Green “The Yaka-mein Lady”, will feature a “family style” intimate setting with live music by Elliot Luv courtesy of Red Clay Soul and spirits provided by Victory Bar of New Orleans. The night was emceed by Camille Whitworth of WDSU and entailed Beautiful ambiance with decor by Posh Productions, LLC. Presenting Sponsor was 100 Black Men of Metro New Orleans and Venue Sponsor was WBOK 1230 AM. Proceeds from this event will benefit the TOS mentoring program and a mentor/mentee trip to visit the White House in June 2016! For the latest updates on Orchid Honors Dinner, stay tuned! Are you ready for OH4? The Orchid Society will host the 2019 Orchid Honors, our signature fundraiser benefiting our mentoring program. We will honor outstanding African American women in New Orleans with compassion for the community. Purchase your tickets for the event here! 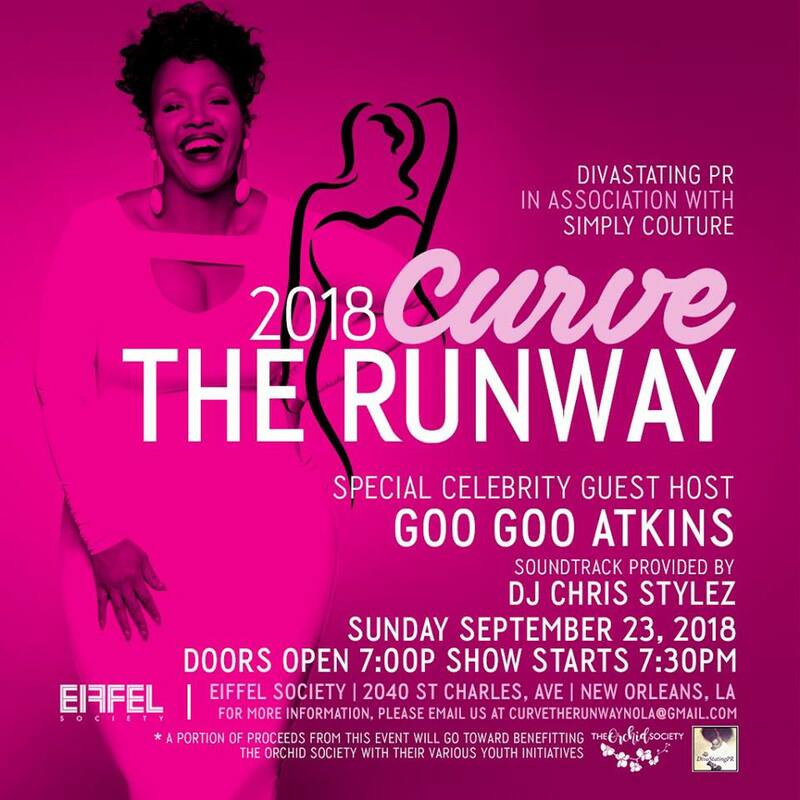 We are so happy that we were chosen as the non-profit of choice for the 2018 Curve the Runway! Mark your calendars Sunday, September 23, 2018 and show your support for this fabulous event. A portion of the proceeds benefit The Orchid Society!